If you think Badminton is easy, chances are you've never played Badminton.. 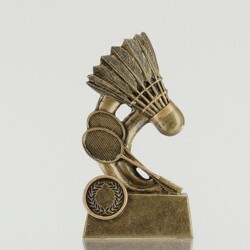 Reward their effort with some serious Badminton trophies & medals at Awards and Trophies. Find everything you'll need for your event, including badminton trophies, badminton medals, perpetual trophies and honour boards; Awards and Trophies has all your presentation needs covered!